Ahh… I see what you did there. 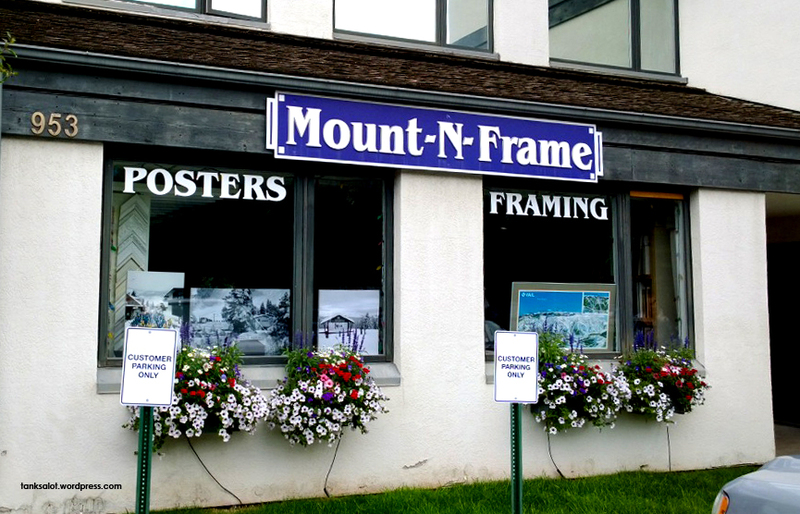 They mount and frame… on the mountain. At Vail in Colorado. It’s an après-PSN, spotted by Jonathan Schneider. 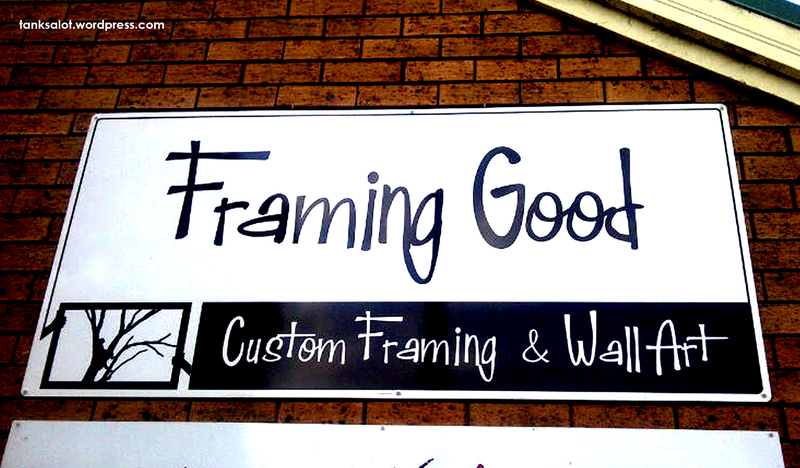 This framing good Pun Shop Name for a picture framer was spotted by Nadia McCrohon on a framing good holiday in Scone NSW. They mount pictures. And they’re in Mount Gambier, South Australia. This simple, yet deceptively clever Pun Shop Name was spotted by Janet O’Brien. 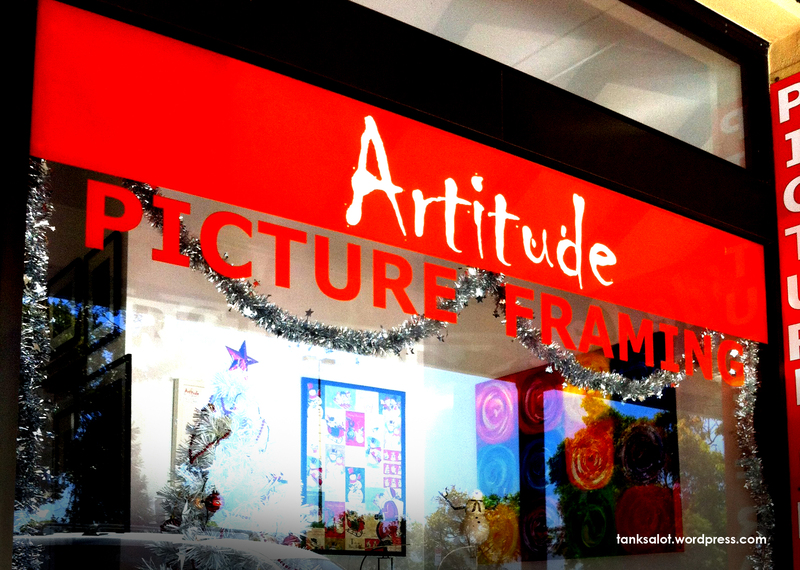 We’re kicking off the new year with a Pun Shop Name with attitude. 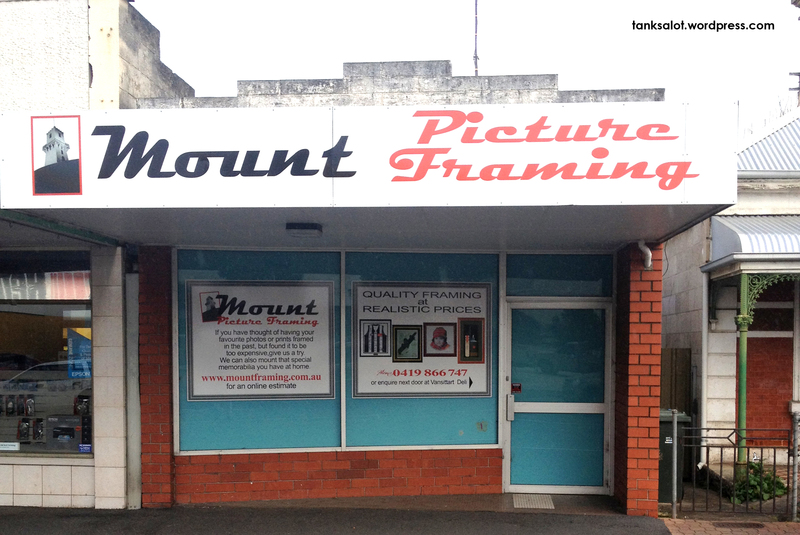 This picture framer was spotted in Glenelg SA by Top Punter Simon O’Brien. An interesting multiple PSN, with obvious hints to vigilante justice. Perhaps though, it would be an idea to ‘frame’ your victim before he’s ‘shot’? And the hanging seems a little redundant, but you can’t be too sure. Found in Burwood VIC by Simon O’Brien. 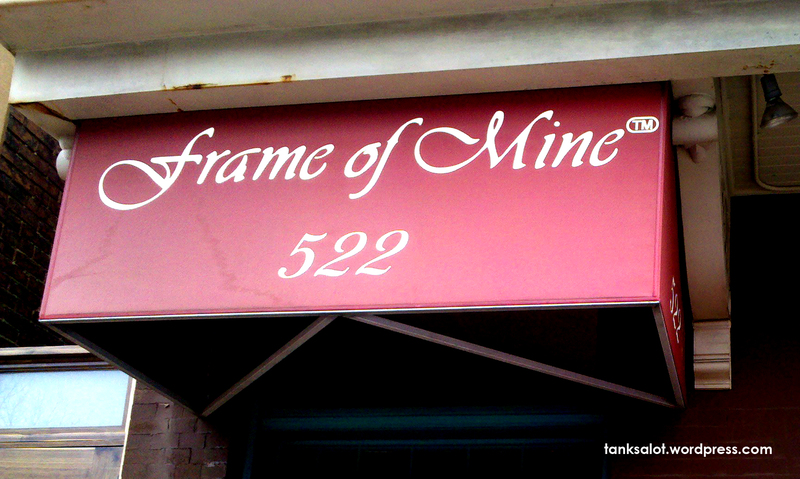 First time punter Richard Abott was in a Pun Shop Name frame of mind when he spotted this picture framing shop in Washington D.C. Not our first Picture Framer.. you’ll find more here. It’s seems Bethany Hatch has found her Prints Charming in El Paso, Texas. 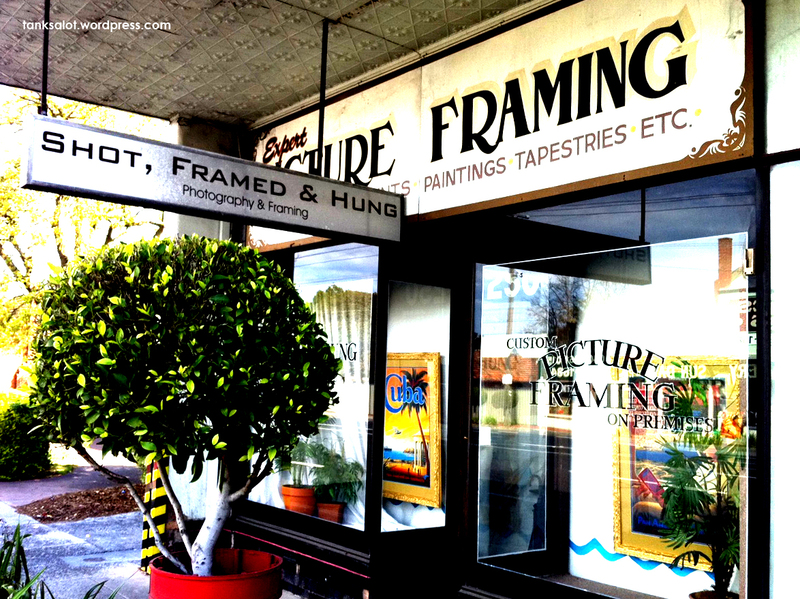 This excellent picture framing shop shares its name with a fabric shop in Annandale, Australia.. you’ll find its namesake here.